Everything is really starting to come in now. 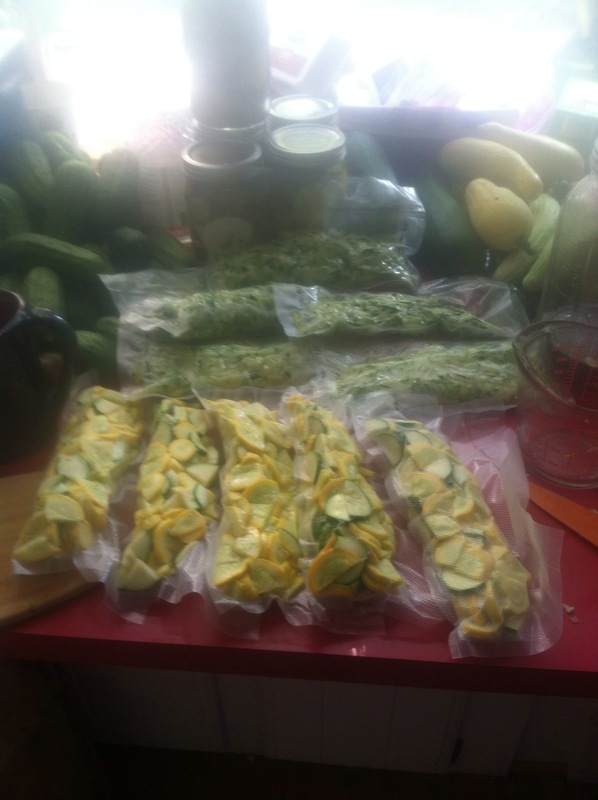 I have been processing vegetables every single day, and we have also been giving a lot away. This year was a trial run to see how much we would get based on how much we planted. Now we can predict what we need next year based on how much we produced this year and how much we want. 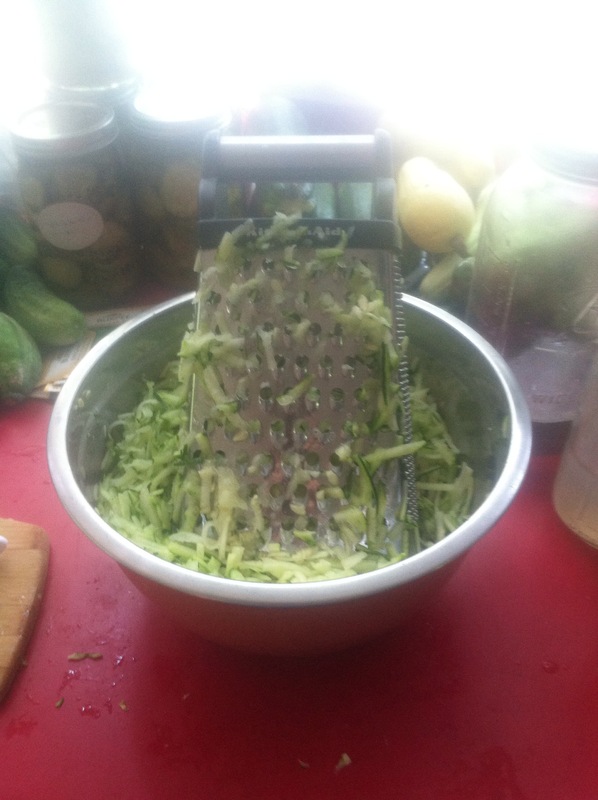 Chopped and shredded squash and zucchini. Now it’s crunch time to make sure we save everything we need to get us through the winter. Since we have never really done this before, plan for the entire year, it’s going to be on a trial and error basis. Last year we canned and froze everything we could, but we didn’t get much and we had eaten everything we had saved by the end of January. This year is a lot different. We can actually save what we need plus have leftovers to give away (which we will be selling next year). It’s all a bit overwhelming, so as I do I made a list of what I think we need to tide us over.